Now in its Eighth Edition, this leading comprehensive manual helps nurses deliver safe, effective, and informed care for patients undergoing diagnostic tests and procedures. The book covers a broad range of laboratory and diagnostic tests and studies that are delivered to varied patient populations in varied settings. 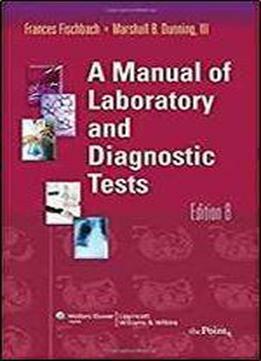 Tests are grouped according to specimen and function/test type (e.g. blood, urine, stool, cerebrospinal fluid, etc.). Each test is described in detail, with step-by-step guidance on correct procedure, tips for accurate interpretation, and instructions for patient preparation and aftercare. Clinical Alerts highlight critical safety information.